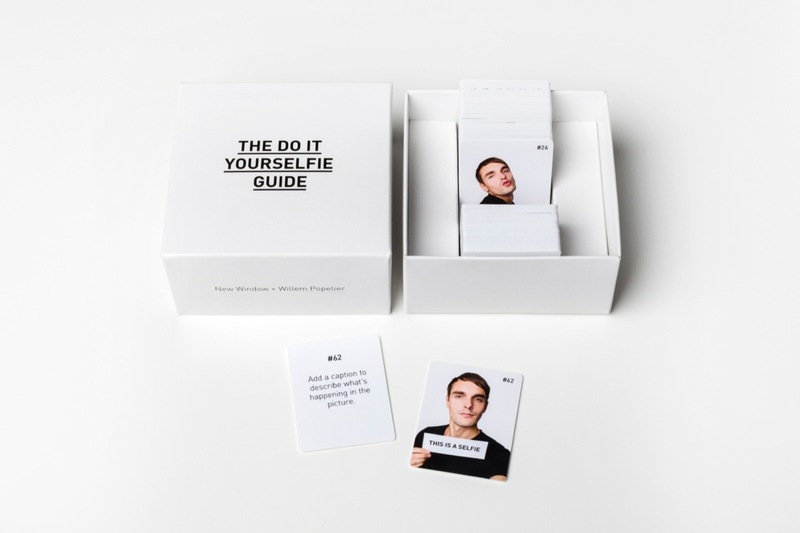 The Do It Yourselfie Guide is for sale in our shop. We have invited photographer Willem Popelier to make new work. 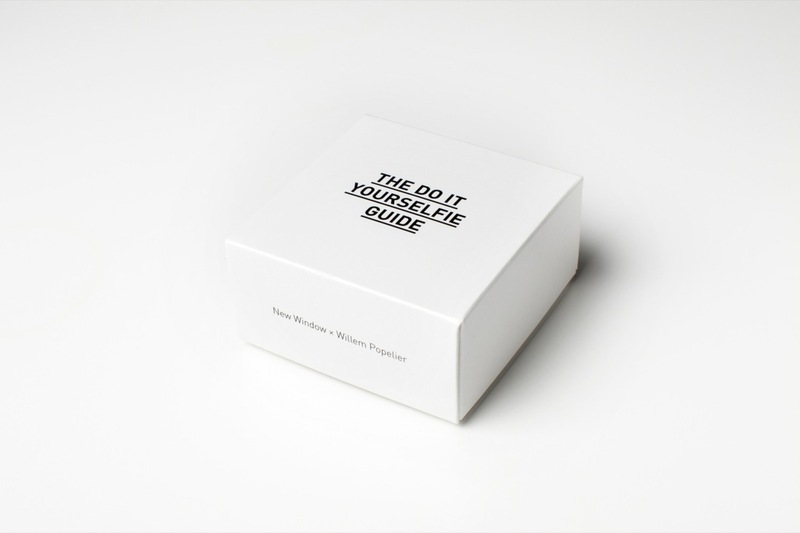 This work, titled The Do It Yourselfie Guide, will be presented at Unseen Photo Fair (18–21 September 2014) in Amsterdam and the Dutch Design Week (18–26 October 2014) in Eindhoven. Willem Popelier (1982) uses photography to investigate the politics of photographic representations of identity. This interview will uncover more about who he is, how he works and what the backdrops are of The Do It Yourselfie Guide. Can you tell something about how you started with photography? Before my studies at the academy of fine arts I started studies in civil engineering, but after six months I decided that it was not for me. Somewhere in those months I got my first camera—foremost to photograph architecture, but I soon started taking pictures of the nightlife in Eindhoven and scenes I came across on the streets. During the summer following my half year of civil engineering I traveled through Africa alongside a photographer, intending to learn as much as I could. There I realised I had a very different approach to photography than he had—I had all these questions about how to document certain events and the way an image can tell a story. Back then I still found it very difficult to find the words for what I wanted to say, but it was such a strong feeling that I knew I needed to explore that direction further. 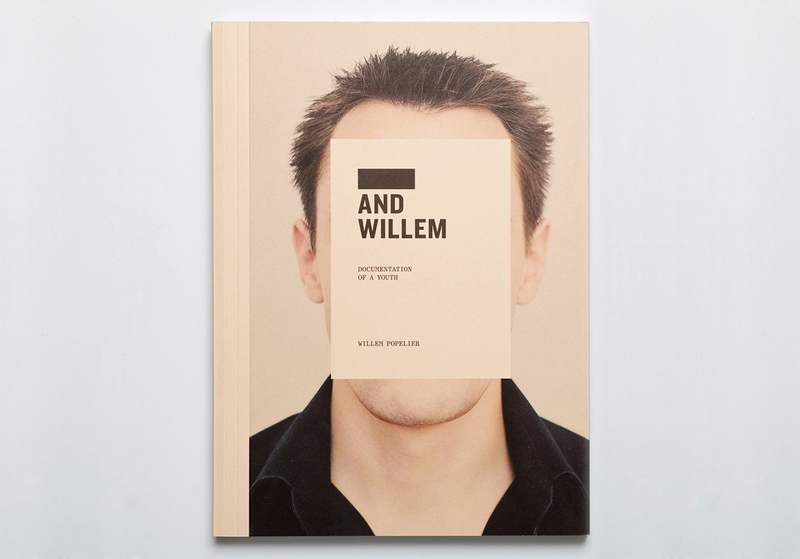 That was why I started my studies at the Royal Academy of Art in The Hague, where I later graduated with my project XXXX & Willem, the predecessor for the publication http://www.willempopelier.nl/andwillem.html text:____ and Willem (post editions, 2010). After my Bachelor's degree I did a Master's at the AKV|St. Joost Academy in Breda where I got my degree in 2010. During my studies in Breda I made an extensive research about what exactly it means to represent someone in a photograph, how we manipulate this image and how we look at these images in general. Has that since become a theme in your work? For some time now I have been working with the subject of how we photograph people, and to be more specific; portrait photography. In my work I reflect on it, often on a conceptual level, and that reflection takes shape in a collection of images or an intervention in an image. In what way and how much of someone's identity is represented by a photograph is what fascinates me, and I investigate how these pictures find a place in society. You told me before that you have a very personal reasoning behind your fascination with portrait photography. I have an identical twin brother and, especially when we were young, we looked exactly the same. 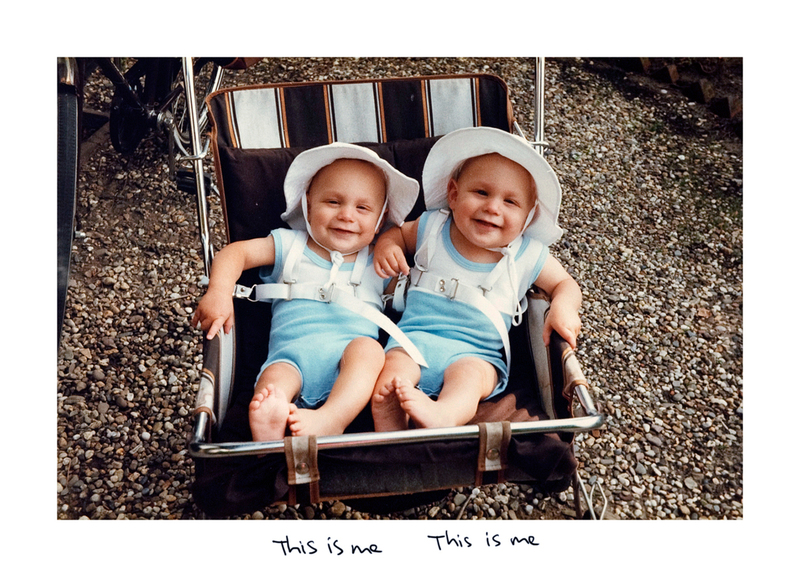 While going through a lot of old family pictures I saw many pictures of my identical twin brother and me, without knowing who I was. I constantly saw two little boys in the pictures and didn't know whether I should look at the left or the right boy to see myself. How could I then point to one of them and state that that one is me? If someone like my parents know which boy I am in a picture, they can tell me which one I am, but this doesn't change a thing for me. I still look at two similar boys. I can then say that the specific boy represents me, but I can recognize myself also in the other boy, a reason for many people to say "that's me”. I’m never sure if I’m looking at myself or my brother when I see those pictures. I made a project revolving around this question called This is me & This is me. For me, a portrait has never been such an obvious representation of someone’s identity. That raises many questions for me: What is the weight of someone’s appearance, what does a portrait say about the portrayed? In the past I’ve also applied that idea to my own family’s history, as in my graduation project at the Royal Academy. In my more recent work I’ve been focusing more on the way we as a society behave in regard to the taking of pictures. How do you investigate something like that? Anything that I encounter could give rise to a new work. It could be magazines at the local news stand or images I find on the internet. Sometimes it's hypes, current topics or the way that the media displays and explains them to the public. I think it's interesting to hear people talk about their own portrayal in a picture; how they sometimes are amazed by how good they look, but just as much when they're embarrassed for a 'bad' photo—or how they sometimes share their least flattering pictures for good laughs. Some things stand out for me. I collect, observe and document until a certain idea is born about what I want to show and what I can do with that. 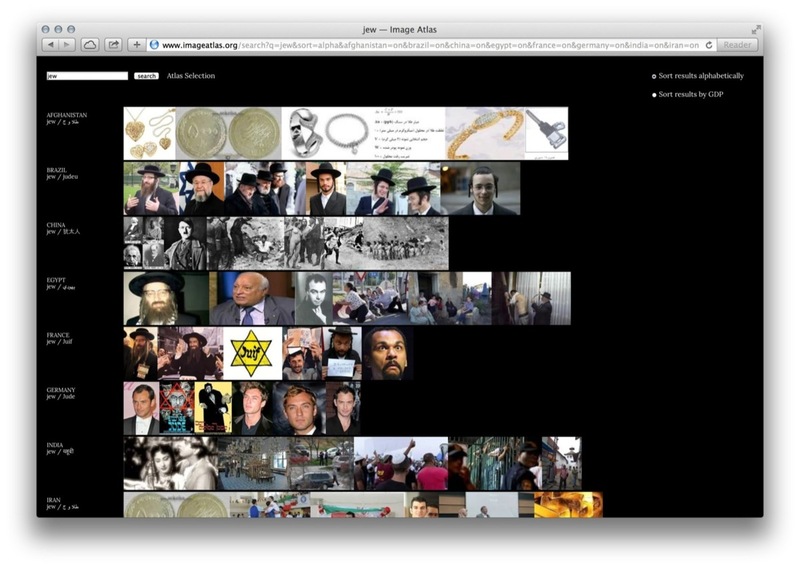 I do most of my research online, in databases, but also with simple tools such as Google Images. My work is only completed in the final phase, where I present it and when it is brought to the viewer. The form of presentation arises somewhere during the process. Taryn Simon developed a website that lays out, in a visual list, the top image results for any given search term by country. Stacking top images from the U.S., Syria, India, North Korea, Germany, and dozens more in horizontal rows, the project provides an aerial view of how terms like “party," “love,” “fail,” “war,” “nazi” or “future” are popularly interpreted across region and culture. This sheds light on interesting cultural and political differences. Are there any other artists or photographers that you admire or that are an inspiration to you? They are mostly artists that work in an analytical and process-driven way, or that work with the same subject of photographical identity. 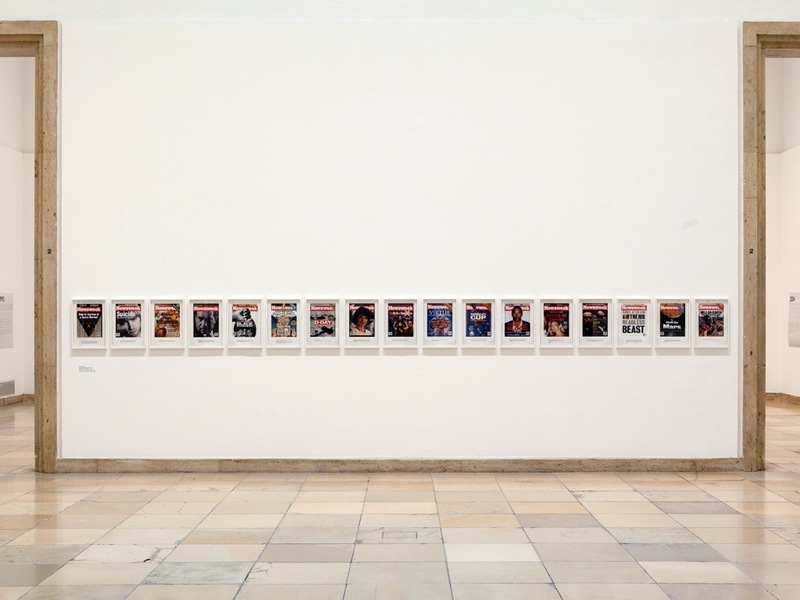 Examples are Alfredo Jaar, Charlie White, Tomoko Sawada, Taryn Simon, Cindy Sherman, and Hans Eijkelboom to name a few. No one is better at showing the power of an image than Alfredo Jaar. His work focussing on the horrible situation in Rwanda—which he made when the rest of the world was still mostly unaware—is incredibly impressive. 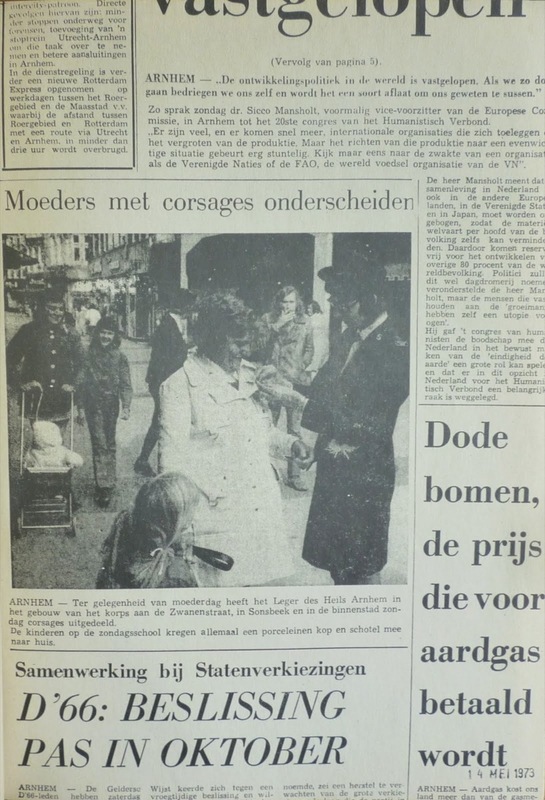 The serie In het nieuws (In the News) is an early work of Hans Eijkelboom. He went looking for places where something newsworthy had just happened and tried to get inconspicuously photographed, in order to get an appearance in the newspaper. He confronts us with topics such as appearance, group mentality and human behavior in general. In The Do it Yourself Selfie Guide your investigation of identity is very prominent. How did this project come into existence? I’ve been working with found self-portraits for years. I’ve worked on more projects that revolve around these kinds of pictures (Showroom, Showroom Girls, both 2010) and I already had quite the collection of selfies that I came across on the internet. Mind you, at that time they weren’t called “selfies” yet in general. I wanted to start a project with these found pictures, but I couldn’t find the right approach yet. So inevitably the material ended up in a drawer to be worked with on a later date. When the term “selfie” had suddenly started popping up everywhere in the past couple of years I thought to myself: “This is the time to continue that project”. I took my old material out of the drawer, starting to do more research and develop the selfie project. 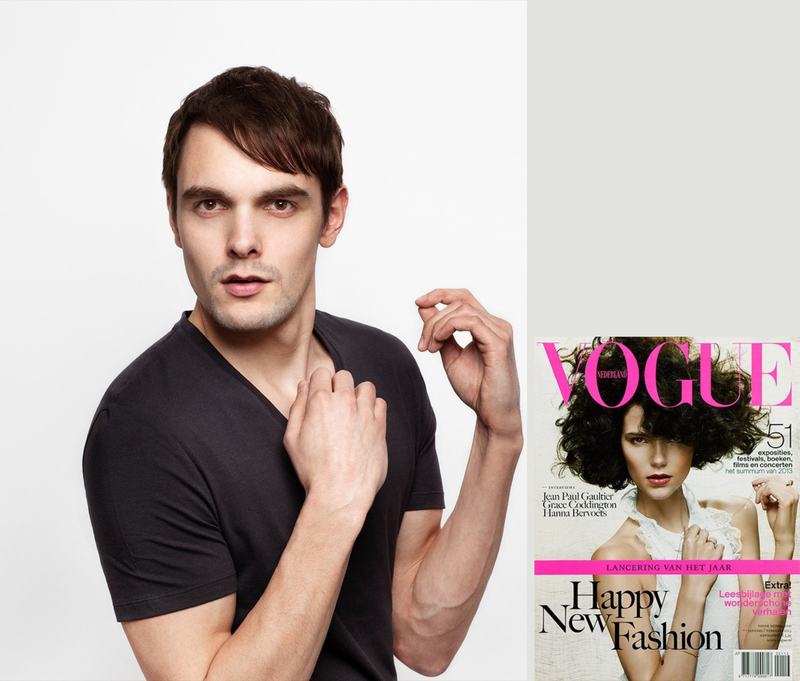 From the series En Vogue, 2013. an analytical photographic view on the first year of covers of a major Dutch fashion magazine. For En Vogue I put myself in the pose of the original model, for Rejected Identities I followed a strict regime for the taking of the photographs. I studied the poses that many people take and subsequently tried to play with them while working on Showroom Girls. By combining the method of these projects I was able to gain the necessary insight into my fascination for selfies. So you observe interesting phenomena in current events and subsequently start looking for a way to give form to your criticism on this subject? My subjects don’t always find their origin in current events and also I don’t believe I’m always criticising something. I don’t think the selfie is such an incomprehensible phenomenon—I too like taking pictures of myself. On the whole it’s not my goal at all to criticise the subjects I choose. I’m simply sharing my fascination and view on things. A good example is my project En Vogue: Everyone knows what the covers of Vogue magazine look like, but by intervening in the image I make people aware of what they’ve been looking at all this time. Exaggerated: it’s easier to travel halfway around the world to a country in conflict and come back with beautiful impacting photographs than to stay here and surprise people with what is happening right under their noses. I’d like to show something that people thought they already thoroughly knew. I don’t pass any judgement on the subject, that is left to the viewer. What exactly is your interest in the phenomenon of the selfie? I'm fascinated—without criticising—by the fact that people are taking a seemingly endless amount of pictures of themselves. Some people even have a strong urge to do so, and the phenomenon has become a widely accepted form of a self–portrait. It struck me that selfies have a specific look to them, a very specific aesthetic. I decided to investigate what it is that makes a selfie a selfie, and how you can take the perfect selfie. I studied countless selfies, internet forums, Youtube tutorials, celebrity selfies, news articles and academic research inquiries. Eventually I focussed on the tips, the 'rules' for how to take a good selfie—because apparently these unwritten rules exist. They say something about how we as a society look at this habitual form of the self–portrait, and with that these do's and don'ts are probably also connected to how we look at ourselves at this moment in time. The walls of your studio are riddled with research material. What were your findings during this investigation? While searching for selfie tips I came across a lot of hilarious videos and photos, but at the same time I found scientific papers that helped me look at the selfies in a more analytical way. Another finding was that the best way to take a selfie is not necessarily the best way to portray yourself as pretty as possible. The taking of pictures to illustrate the 66 rules—I shot a total of over 1400—was more detrimental than positive for my self–image. This correlates with the scientific researches stating that generally speaking the habitual or excessive taking of selfies can lead to depression, the development of a narcissistic disorder and negative effects on self-image. Can you tell me something about the final form that the project took? I ended up with a box containing 148 passport photos. Among them are the 66 rules to make a perfect selfie, and 66 selfies I took to illustrate those rules. It's not my goal to have people go through them all one by one. I hope the format of loose cards in a box invites the viewer to browse through them and to go look for weird or funny pictures. Obviously they are more directions than actual rules: They invite you to think about what a selfie looks like, why we recognise a selfie as such, and what it implies when you take a selfie. The final 66 rules envelop almost every detail of my research. Their multitude gives them a certain authority through the extensiveness, while at the same time it's a bit of an absurd amount. I think that is an interesting contrast. Why exactly did you choose for the format of the passport photo? I worked with passport photos in my Rejected Identities project and the fact that I applied this idea to the selfie project was one of the reasons that this time around I did get the ball rolling. While there are many rules to the taking of a passport photo, all imposed by the government, it can also be a very intimate thing. It's small, it's a real print, and you can give it to a loved one. When you're standing in line at the supermarket and you catch a glimpse of the pictures in someone's wallet, just for that moment you look through a window into their private life. But nowadays it's not that common anymore to share a copy of your passport photo. Now that there's Facebook and Instagram apps on your phone, why would you need a photograph of your loved ones or friends anymore? I thought that was a beautiful notion. It helped me make the decision to put all the rules I proclaim as 'truths' on the format of a passport photo: An object that has a certain value yet that's worthless at the same time, intimate yet something that you'd want to share, interchangeable yet specific. Again a set of contrasts I think fit the idea I want to convey. Did you collaborate with anyone during this project? And what did their expertise add to the project? I recently gave a lecture on the presentation of oneself on the internet for the Hasselblad Foundation Symposium. There I was able to juxtapose my work to Sarah Kember's theories, a professor of new media at Goldsmith University. We've kept contact since the symposium, and out of that grew a publication (Auto. Self-Representation and Digital Photography) with texts by both her and me. The ideas that sprung from this collaboration were very influential in my decision making within the selfie project. My wife Nienke Draaisma, with her background in literature and gender studies and her ever critical eye, has also been a great help in my work.